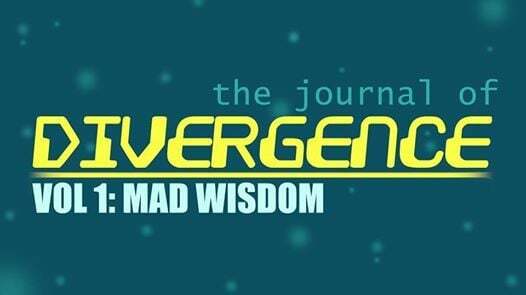 The Journal of Divergence: Vol 1 is our pioneer Mad, Divergent and Neurodivergent seminar. It is the goal of the Journal to bring together a collection of speakers with lived experience of divergence to share their knowledge with not just our community, but to a wider audience. The theme for this year’s Journal is Mad Wisdom. We have learned, often through much hardship, what it is that has been required to reach where we are today, and what it is that we need in order to live as our best selves in the world. Having a unique way of seeing the world can bring wisdom and learning which can benefit our communities. We are excited to be able to bring for the first time a collection of these insights to our community. All of the people presenting will bring insights from the richness, colour and uniqueness that our divergent lives bring to our world. From mad activists, to professionals who are working to see things in different ways, to humans choosing to live an authentically, accepting their unique colour and the needs this brings, The Journal of Divergence will be an opportunity to start looking at the world and who we are in a fresh new ways. Kat McAra - "Getting off my nerves. Living with a the highly sensitive personality trait (also known as Sensory Processing Sensitivity)." Meredith Blampied - A step towards wellbeing: Psychology, wellbeing and the role of nutrients.